When is the best time to talk about salary? Well this is a very tricky question, one that you have to think very carefully about as timing is crucial. Most job adverts display the salary range, but sometimes the range is quite wide. Bear in mind the difference between being headhunted and applying for a job directly. If you have been headhunted, you could be in a stronger position to command a higher pay package to move jobs. If you have applied for a job, then the salary you will be offered based on the range will depend most likely on your experience. Mention salary too soon and an employer may think you only care about the dough. If you ask about salary too late and it could waste everyone’s time if it does not match your expectations. Getting the timing right is vital, so hopefully this article will help to steer you in the right direction. Of course every situation is different, some employers may bring up salary straight away, some may not mention it at all and wait to see how you handle the subject of money. If you are using a recruitment agency, speak to your recruiter before the interview and ask for some insight into the salary range. This will give you a ball park idea of what sort of salary to expect based on your experience. So when is the right time to talk about money? Unfortunately there is no right time, it’s a judgement call. You will have to gauge how the conversation is going and see if the topic naturally comes up in conversation or if the employer brings it up first. It is common for employers to simply ask you what your salary expectations are. Remember, they don’t want to waste time either. If the employer does not bring up the subject of salary at all in the first interview, you could use your end of interview questions as a polite way to bring up the subject. Having said that, don’t make it your first and only question. Maybe ask a few questions about the company first to show that the job is more important to you. From our experience we find that the most effective time to discuss salary in depth is in the second interview. Normally after a successful first interview, you will be invited back for another discussion and salary is an acceptable topic to discuss. If they didn’t like you, you simply wouldn’t be there a second time. Whatever you ask for, make sure it is within the advertised salary range for that particular job. If the job advert states £25,000 – £30,000 and you later state your expectations at £40,000 this could be a huge turn off unless you have experience that far exceeds the stated requirements. In some cases employers have the budget to stretch for very strong candidates – if you use a recruiter; they will be able to give you an idea before the interview. Otherwise this is a very risky move. We have seen many candidates shoot too high and miss. If the upper level of the advertised salary range isn’t enough, it may be best to look at other jobs. That being said, don’t be afraid to negotiate and don’t simply settle and accept whatever offer you receive unless you are genuinely happy with the offer. Make sure you do get what you are worth. 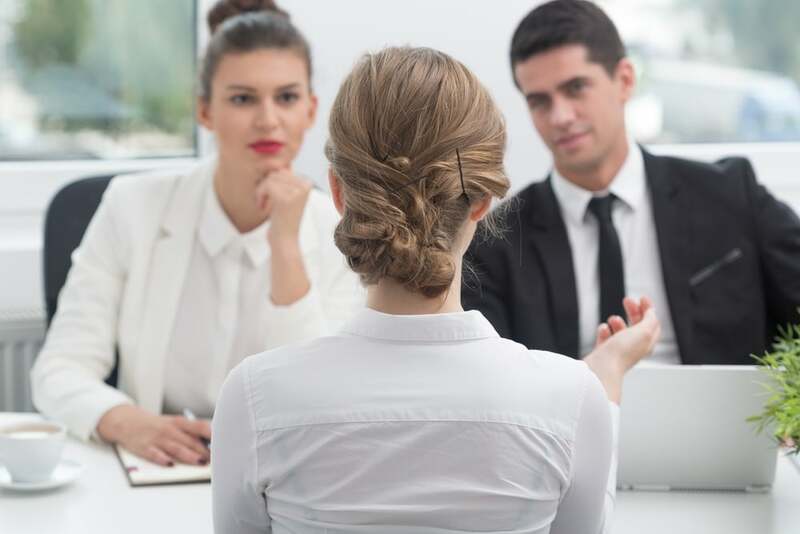 Salary negotiations of this sort normally occur after the first interview, perhaps via a recruiter, perhaps in a second or third interview, but rarely in the first interview. The first interview is usually exploratory, to meet you and obtain information for consideration.